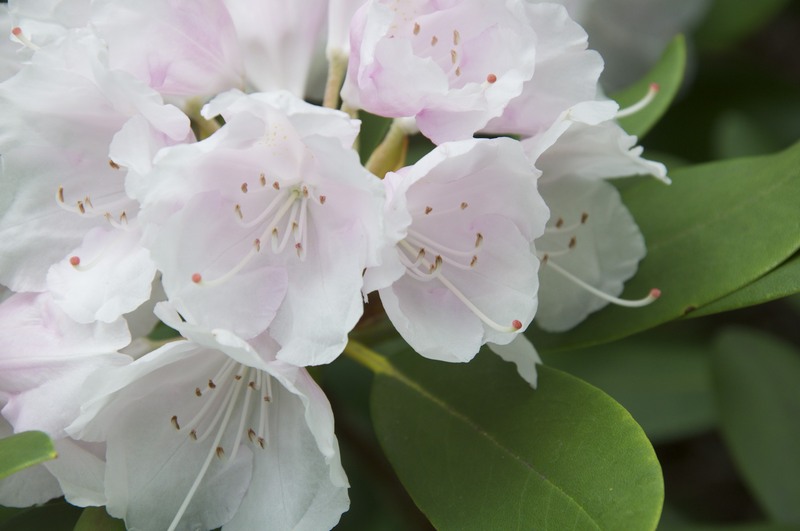 White rhododendron blooming next to the house. This morning in Huntington at 6:40am it’s currently 58 degrees under mostly clear skies. Winds are calm. Relative humidity is 97%, dewpoint 57, barometric pressure 30.17″ and rising. 24hr high was 79, low 56. The forecast for today calls for sunny skies with highs in the lower 80s and light and variable winds. Tonight should be clear with lows in the upper 50s and light and variable winds becoming southerly around 10 mph after midnight. Wednesday’s looking partly sunny with scattered afternoon thunderstorms. Some thunderstorms may produce gusty winds and small hail. Highs will be in the lower 80s with southwest winds 15 to 20 mph gusting up to 30 mph in the afternoon. Chance of rain is 50%. Wednesday night should be partly cloudy. Lows will be around 50 with sest winds 15 to 20 mph with gusting to 30 mph. Thursday look for partly sunny skies with a 40% chance of showers and highs in the lower 60s. Last year on this date we had a high of 77 and a low of 41. Burlington norms for this date are highs of 73 and lows of 50. Record high was 90 in 1999. Record low was 25 in 1961. The moon is a waning crescent, 28d 4h old with 2% illumination. 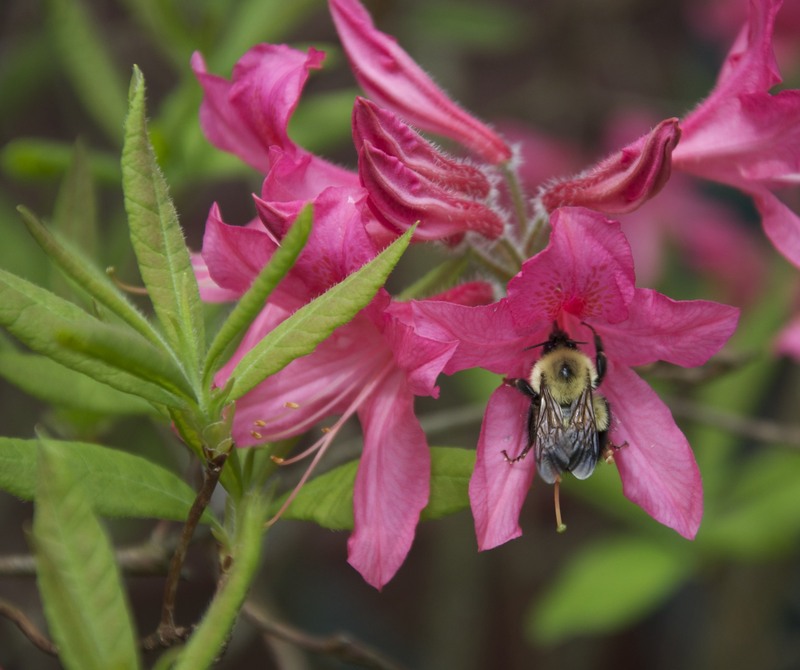 A bumble bee collects nectar from an azalea blossom next to the house. This morning in Huntington at 7:40am it’s currently 66 degrees under mostly cloudy skies. Winds are calm. Relative humidity is 96%, dewpoint 65, barometric pressure 30.00″ and rising rapidly. We picked up 0.89″ of rain overnight. 24hr high was 81, low 65. The forecast for today calls for partly sunny skies. Highs will be around 80 with north winds around 10 mph. Tonight should be mostly clear with lows in the lower 50s and north winds around 10 mph until midnight becoming light and variable. Tuesday’s looking partly sunny. Highs will be in the lower 80s with light and variable winds. Tuesday night should be partly cloudy with lows in the lower 60s and light and variable winds. Wednesday showers and thunderstorms are likely. Highs will be in the lower 80s with south winds 15 to 20 mph gusitng up to 40 mph. Chance of rain is 60%. Wednesday night should be mostly clear with lows in the mid 50s. Last year on this date we had a high of 67 and a low of 48. We picked up 0.11″ of rain. Record high was 92 in 1987. Record low was 28 in 1961. Tomorrow will be 1m 27s longer. 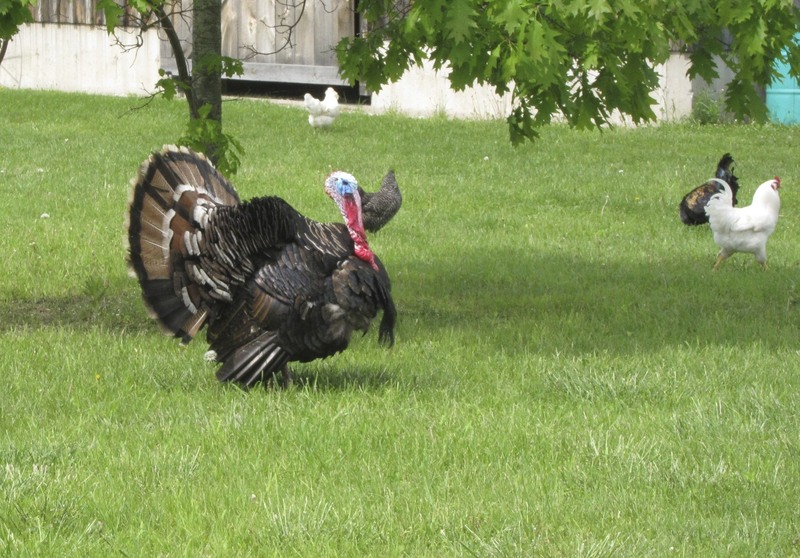 A wild tom turkey struts his stuff for some hens on Mayo Road yesterday. This morning in Huntington at 7:35 AM it’s currently a muggy 66 degrees under overcast skies. Winds are calm. Relative humidity is 94%, dewpoint 64, barometric pressure 29.96″ and rising. We picked up 0.14″ of rain in the past 24hrs. 24hr high was 80, low 62. The forecast for today calls for scattered showers this morning, then showers and thunderstorms likely this afternoon. Some thunderstorms may produce gusty winds and small hail this afternoon. Highs will be in the upper 70s with south winds around 10 mph. Chance of rain is 70%. Tonight should be mostly cloudy with showers and thunderstorms likely until midnight, then partly cloudy with a chance of showers after midnight. Lows will be in the lower 60s. Chance of rain is 70%. Memorial Day should be mostly sunny with highs around 80 and light and variable winds becoming northerly around 10 mph in the afternoon. Monday night’s looking partly cloudy with lows in the upper 50s and light and variable winds. Tuesday’s looking partly sunny with highs in the upper 80s and light and variable winds. Tuesday night should be partly cloudy with a chance of showers and thunderstorms. Lows will be in the mid 60s. Last year on this date we had a high of 75 a low of 52. We picked up 0.05″ of rain. Burlington norms for this date are highs of 72 and lows of 50. Record high was 89 in 1978. Record low was 34 in 1970. Tomorrow will be 1m 31s longer. The moon is a waning crescent, 26d 5h old with 11% illumination. This morning in Huntington at 8:05 AM it’s currently 63 degrees under mostly cloudy skies. Winds are calm. Relative humidity is 97%, dewpoint 62, barometric pressure 29.96″. 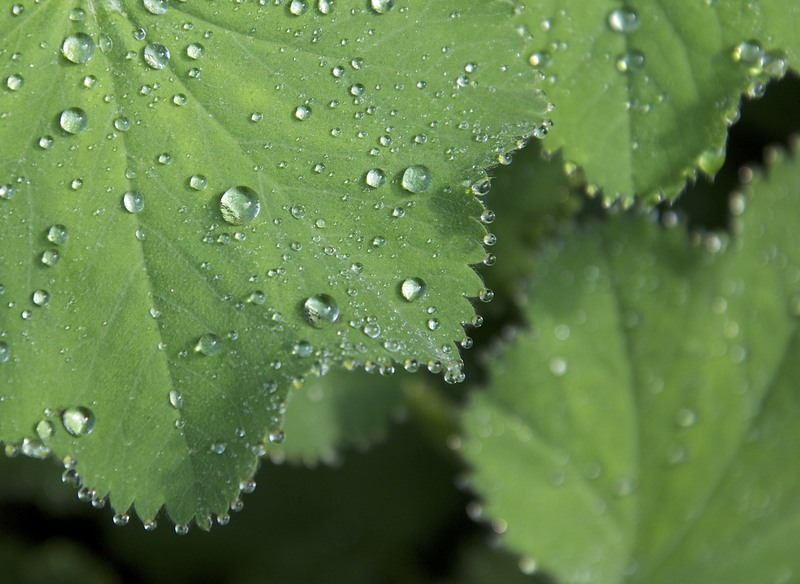 We picked up 0.72″ of rain in the past 24hrs. 24hr high was 70, low 51. The forecast for today calls for partly sunny with a chance of showers this morning, then becoming mostly cloudy with showers and thunderstorms likely this afternoon. Some thunderstorms may produce gusty winds, small hail and heavy rainfall this afternoon. (Sound familiar?) It’ll be warmer with highs in the mid 70s with light and variable winds, becoming southerly 10 to 15 mph and gusting up to 25 mph this afternoon. Chance of rain is 70%. Tonight should be cloudy with showers and thunderstorms likely until midnight, then partly cloudy with a chance of showers and thunderstorms after midnight. Lows in the lower 60s. Chance of rain is 70%. Sunday we’ll have areas of dense fog in the morning with a chance of showers and a chance of thunderstorms in the afternoon. Highs will be in the lower 80s with south winds around 10 mph. Chance of rain is 40%. Sunday night should be cloudy with a chance of showers and thunderstorms. Lows in the lower 60s with south winds around 10 mph. Chance of rain is 40%. Memorial Day look for partly sunny skies with highs in the lower 80s and west winds around 10 mph. Monday night should be mostly clear with lows in the upper 50s. Tuesday’s looking sunny with highs in the mid 80s. Last year on this date we had a high of 81 and a low of 65. We picked up 0.52″ of rain. Burlington norms for this date are highs of 72 and lows of 49. Record high was 92 in 1978. Record low was 30 in 1961. The moon is a waning crescent, 25d 5h old with 17% illumination. 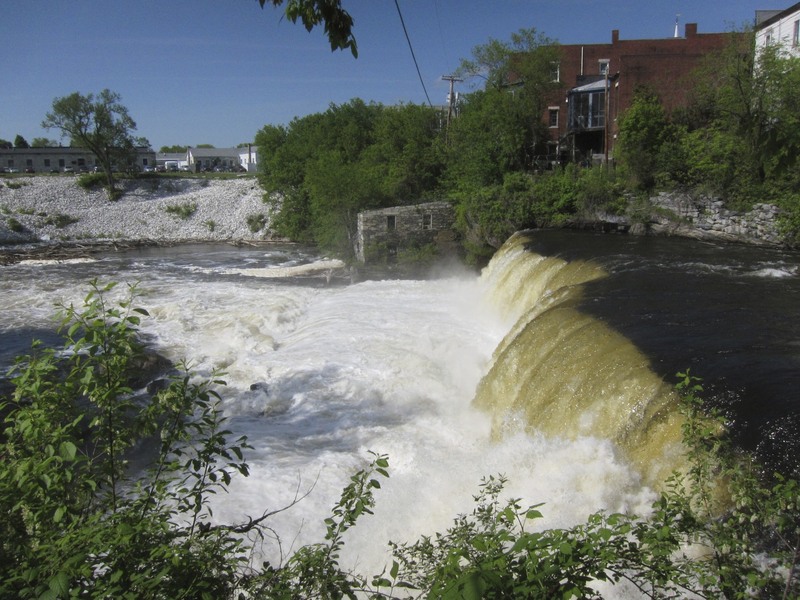 The falls at Middlebury: Otter Creek was high yesterday. This morning in Huntington at 6:20am it’s currently 58 degrees and drizzling a bit under overcast skies. Winds are calm. Relative humidity is 98%, dewpoint 57, barometric pressure 29.93″ and rising rapidly. We picked up a soaking 1.82″ of rain yesterday evening. The sky put on quite a light show with frequent and colorful cloud-to-cloud lightening as a series of strong thunderstorms rolled over us. 24hr high was a muggy 85 (quite the taste of summer…), overnight low was 57. There are reports from around the region this morning of torrential rains, flash floods, and baseball-sized hail falling yesterday (in Duxbury). There might have also been a possible tornado touching down between Barre and St. Johnsbury. There may be more such storms today, though not likely as strong as yesterday’s. The forecast for today calls for showers and thunderstorms likely. With some thunderstorms producing gusty winds, small hail and heavy rainfall. It won’t be as warm as yesterday with highs only in the lower 70s. Chance of rain is 70%. Tonight should bring cloudy skies with showers and thunderstorms likely mainly until midnight. Some thunderstorms may produce gusty winds, small hail and heavy rainfall until midnight. Lows will be in the upper 50s. Chance of rain is 60%. Saturday should bring cloudy skies with a chance of showers and thunderstorms. Highs will be in the upper 70s with light and variable winds becoming southerly around 10 mph in the afternoon. Chance of rain is 50%. Saturday night should be cloudy with a chance of showers and thunderstorms. Lows will be around 60 with south winds around 10 mph. Chance of rain is 50%. Sunday look for mostly cloudy skies with a chance of showers and thunderstorms. Highs will be in the lower 80s with south winds 10 to 15 mph. Chance of rain is 40%. Sunday night should be partly cloudy with lows around 60. Monday’s looking mostly clear with highs in the lower 80s. Record high was 91 in 1944. Record low was 28 in 1969. Tomorrow will be 1m 37s longer. The moon is a waning crescent, 23d 23h old with 27% illumination. 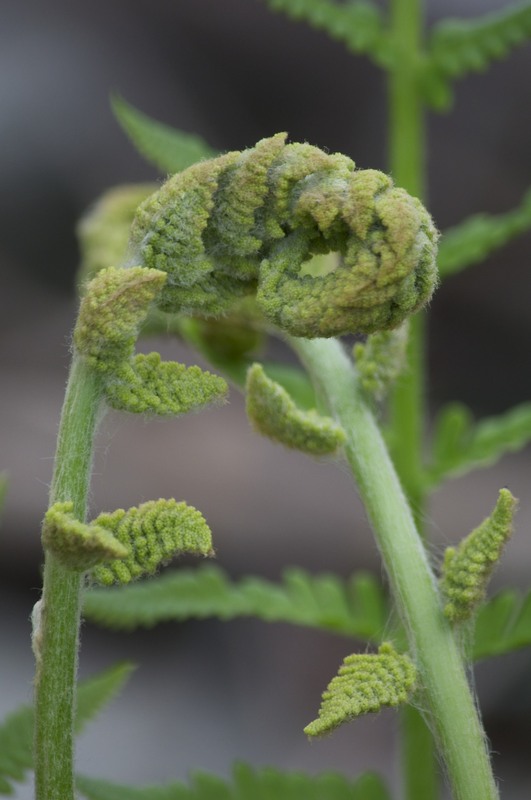 An ostrich fern unfurls across Fargo Brook. This morning in Huntington at 6:05am it’s currently 47 degrees under mostly cloudy skies. Wind are calm. Relative humidity is 95%, dewpoint 46, barometric pressure 29.91″ and rising rapidly. 24hr high was 73, low 45. The forecast for today calls for mostly sunny skies with highs in the lower 70s and light and variable winds. Tonight should be mostly clear until midnight, then becoming mostly cloudy. Lows will be in the lower 50s with light and variable winds, becoming southeasterly around 10 mph after midnight. Thursday’s looking mostly cloudy with a chance of showers and thunderstorms in the afternoon. Highs will be in the mid 70s with south winds 10 to 15 mph gusting up to 30 mph. Chance of rain is 40%. Thursday night should be cloudy with a chance of showers and thunderstorms. Lows will be in the lower 60s with south winds around 10 mph. Chance of rain is 50%. Friday look for showers and thunderstorms with some thunderstorms producing heavy rainfall. Highs will be in the upper 70s with south winds around 10 mph. Chance of rain is 60%. Showers and thunderstorms will continue into Friday night. Lows will be in the upper 50s. Chance of rain is 60%. Saturday’s looking mostly cloudy with a chance of showers and thunderstorms. Highs will be around 80. Last year on this date we had a high of 88 and a low of 55. Burlington norms for this date are highs of 71 and lows of 48. Record high was 91 in 1946. Record low was 28 in 1956. Tomorrow will be 1m 44s longer. The moon is in its last quarter, 22d 3h old with 44% illumination. 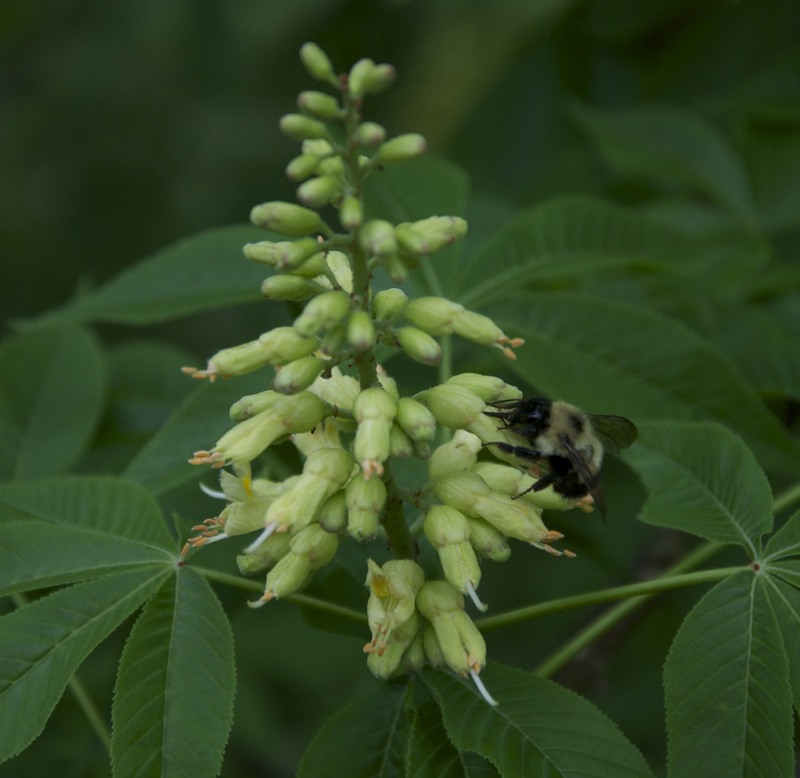 A bumble bee enjoys a buckeye blossom. This morning in Huntington at 6:25am it’s currently a balmy and breezy 65 degrees under overcast skies. Winds are out of the south at 0-6mph. Relative humidity is 81%, dewpoint 59, barometric pressure 29.598″ and steady. We picked up 0.03″ of rain overnight. 24hr high was 71, low 53. The forecast for today calls for cloudy skies with a chance of showers and thunderstorms. Highs will be in the lower 70s with south winds 10 to 15 mph, becoming westerly this afternoon. Chance of rain is 50%. Tonight should be partly cloudy with a slight chance of showers and thunderstorms until midnight. Lows will be in the mid 40s with northwest winds around 10 mph until midnight, becoming light and variable. Chance of rain is 20%. Wednesday’s looking mostly sunny with highs around 70 and light and variable winds. Wednesday night should be cooler with partly cloudy skies. Lows in the upper 40s with light and variable winds. More rain enters the picture Thursday as a moist cold front approaches from the southwest with showers likely and a chance of thunderstorms. Highs will be in the lower 70s with south winds around 10 mph gusting up to 35 mph. Chance of rain is 70%. Thursday night should bring more showers with lows in the upper 50s. Chance of rain is 70%. Friday showers are likely. Highs will be in the lower 70s. Last year on this date we had a high of 85 and a low of 57. Record high was 88 in 2007 (we had a high of 81). Record low was 28 in 1963. Tomorrow will be 1m 47s longer. The moon is waning gibbous, 21d 3h old with 53% illumination.